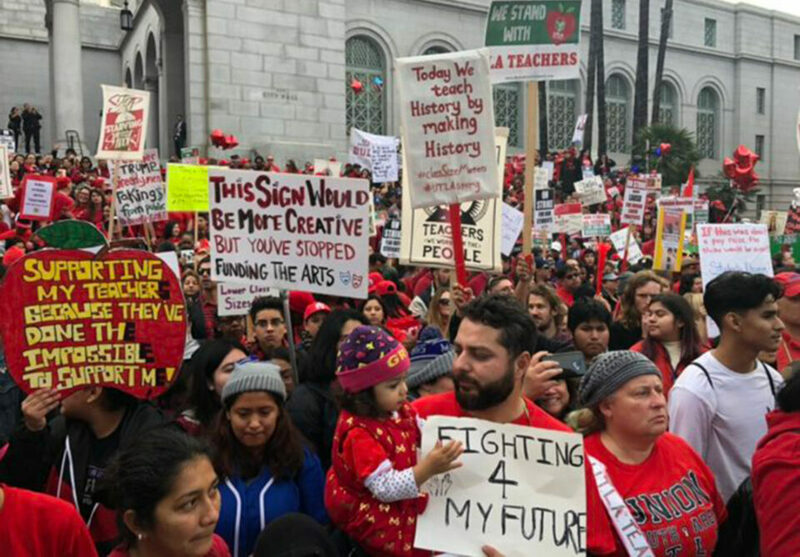 After decades of austerity, cutbacks, privatization, testing, and teacher-bashing—by politicians and the media—the UTLA strike has taken the nation-wide fightback by public teachers to a new level. 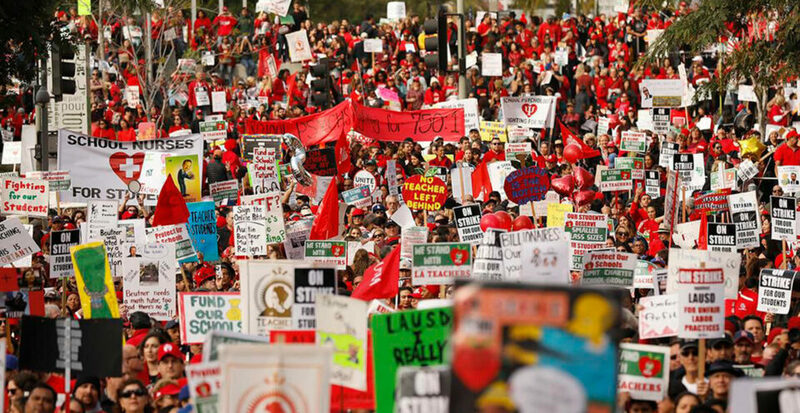 The L.A. strike called into question the drastic underfunding of public education in L.A. and throughout California (and beyond) and also challenged the widespread growth of charter schools. In 2005, there were 58 independent charter schools in the district. Today, there are 221, representing the highest concentration of charter schools of any district in the nation. One of every five LAUSD students now attends a charter school. 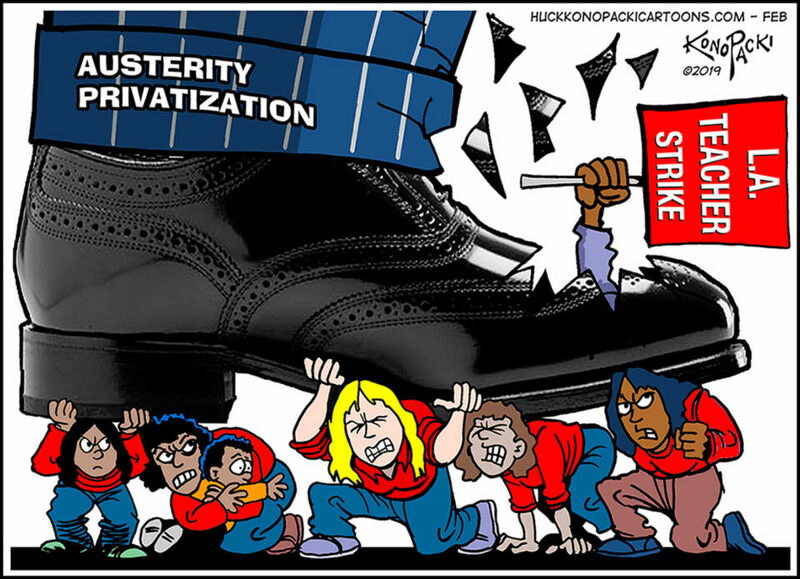 On the first day of the strike Gov. Gavin Newsom seemed to respond to UTLA’s call for a moratorium on charter schools when he announced that he supported placing more regulations on charters and called for the legislature to take up the issue. LAUSD students are 73 percent Latino and 15 percent other nonwhite populations and the union focused on racial justice which is critical to so many of their students: undocumented students, students who are harassed by police in their neighborhoods, and students being gentrified out of their homes. The union’s labor-community alliance approach included bargaining on “random” searches of students on campus, helping to provide funds to DACA recipients to renew their papers, and calling for the district to establish an immigrant-defense fund to support families.